Serbian professional tennis player Novak Djokovic won his first of multiple Grand Slam championships in 2008 and took over the world's No. 1 ranking in 2011. Born in Serbia in 1987, Novak Djokovic began playing tennis at age 4, and was sent to train in Germany at age 13. After a steady ascent to the top levels of the sport, he won the Australian Open in 2008 and led the Serbian national team to its first Davis Cup win in 2010. 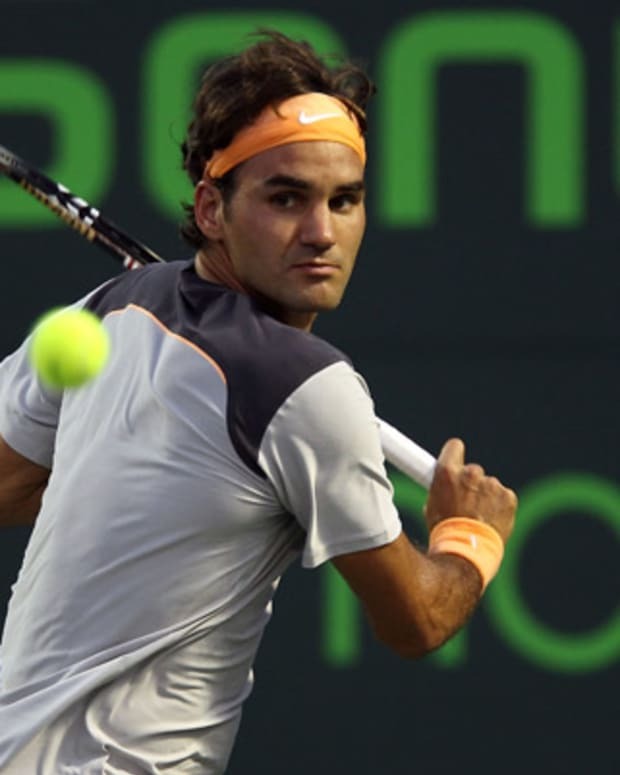 In 2011, he claimed three of four Grand Slams and compiled a 43-match winning streak en route to the world&apos;s No. 1 ranking. With his first French Open win in 2016, he became the first man since Rod Laver in 1969 to hold all four major titles at once. Novak Djokovic was born on May 22, 1987, in Belgrade, Serbia. Father Srdjan and mother Dijana owned the company Family Sports, which had three restaurants and a tennis academy. Djokovic&apos;s father, uncle and aunt were all professional skiers, and his father also excelled at soccer, but Djokovic was a tennis prodigy. In the summer of 1993, at 6 years old, Djokovic was spotted by Yugoslavian tennis legend Jelena Gencic at his parents&apos; sports complex. Gencic then worked with Djokovic for the next six years. During this time, the war in former Yugoslavia and the bombing of Belgrade meant that, for almost three months, Djokovic and his family would spend a few hours in the middle of each night in the basement. Djokovic has said that the hardships of war drove him to pursue tennis with even greater determination. At 13, he was sent to the Pilic Academy in Munich, Germany, to pursue higher levels of competition. In 2001, at age 14, he began his international career. The 14-year-old Djokovic ended 2001 as a triple European champion in singles, doubles and team competition. He won the silver medal at the World Junior Championship in a team competition for Yugoslavia. At 16, after winning five ITF tournaments, he was ranked the 40th best junior tennis player in the world. In 2004, he won his first ATP Challenger tournament in Budapest, where he started as a qualifier. The following year, he qualified at Wimbledon and reached the third round, moving him up the rankings and into the Top 100. In the 2007 season, Djokovic played the semifinals of the French Open and Wimbledon. He won his second Masters title in Montreal, beating the Top 3 players—Roger Federer, Rafael Nadal and Andy Roddick—which made him No. 3 in the world. He competed for Serbia in the 2008 Beijing Olympics, and won a bronze medal in singles tennis. In 2010, the Serbian national team clinched the Davis Cup trophy for Serbia for the first time in history. Djokovic went on to win 43 matches in a row in 2011, the only player in the world to achieve such a run. That same year, he won the Australian Open, Wimbledon and the U.S. Open to become the world&apos;s No. 1 tennis player. In 2012, Djokovic won the Australian Open singles title, and made it to the semifinals at Wimbledon. He was beaten in the semifinals, however, by longtime rival Roger Federer—who went on to win the Wimbledon final against Andy Murray. Later that year, Djokovic faced off against Murray himself in the final at the U.S. Open. He fought hard against Murray, but he ended up losing the match after five sets. For the third year in a row, Djokovic took home the men&apos;s singles title at the Australian Open in 2013. He was the runner-up at Wimbledon that year, losing in the final to Andy Murray. At the U.S. Open, Djokovic was the top-ranked player. He easily dispatched his opponents in the first three rounds of play, but he lost in the final to Rafael Nadal. In 2014, Djokovic claimed his second Wimbledon title in an epic five-set win over seven-time champion Roger Federer. It was his seventh Grand Slam title. At the 2014 U.S. Open, Djokovic defeated Andy Murray to reach the semifinals for the eighth time. He was subsequently defeated in the semifinals by Japan’s Kei Nishikori, who became the first player from that country to make it to the Grand Slam final. Djokovic kicked off 2015 by winning the Australian Open over Andy Murray after a heated battle on the blue court. It was his fifth Australian Open title and the eighth Grand Slam title of his career. He then knocked off nine-time champion Rafael Nadal in the quarterfinals of the French Open, but fell short in his bid to claim his first French crown with a loss to Stan Wawrinka in the final. Djokovic was back in the thick of things at Wimbledon that July, defeating Richard Gasquet in the semifinals before upending Federer to win his third singles title on the famed grass courts. Facing Federer again in the rain-delayed 2015 U.S. Open final, Djokovic shrugged off a hard fall early in the match and eventually clinched a tough four-set win. The victory gave him his 10th major singles title, and left him with an incredible 27-1 record in Grand Slam play for the year. The world&apos;s No. 1 roared out of the gates to start the 2016 season, surging to his sixth Australian Open title. That June, following consecutive runner-up finishes at Roland Garros, he finally broke through with his first French Open crown. The win made him the eighth man to complete the career Grand Slam, and the first since Rod Laver in 1969 to hold all for major titles at once. But Djokovic&apos;s quest to win all Grand Slams in 2016 came to an abrupt end at Wimbledon when he was defeated by Sam Querry, an American player ranked No. 41, in the first week of competition. Later that year, he lost to Wawrinka in the U.S. Open final. In a shocking upset, the No. 1 ranked player in the world was ousted out of his Olympic dreams on the second day of competition when Juan Martín del Potro of Argentina beat him 7-6, 7-6. Although he left the courts in tears, Djokovic told reporters, "Delpo was the better player and he deserved to win. That&apos;s sport." He added: "It&apos;s very sad and disappointing to go out of the tournament this early but I am glad that a good friend of mine, who has struggled with injuries, has won." Following some disappointing results in the early stages of 2017, including a second-round loss at the Australian Open, Djokovic sought to shake things up by bringing tennis great Andre Agassi on board as his new coach. He won the grass court Eastbourne International tournament that summer, but after retiring in the Wimbledon quarterfinals, he announced he was sitting out the remainder of the season to help his ailing right elbow recuperate. Djokovic ultimately underwent elbow surgery after his fourth-round loss at the 2018 Australian Open, and while he was shaky in his first tournaments following his return in March, the champion within showed signs of awakening. That summer, he outlasted Nadal in a marathon five-set semifinal at Wimbledon, before toppling Kevin Anderson to claim the 13th Grand Slam title of his career. Djokovic captured his 14th Grand Slam title and third U.S. Open win when he won the 2018 U.S. Open against Juan Martín del Potro. 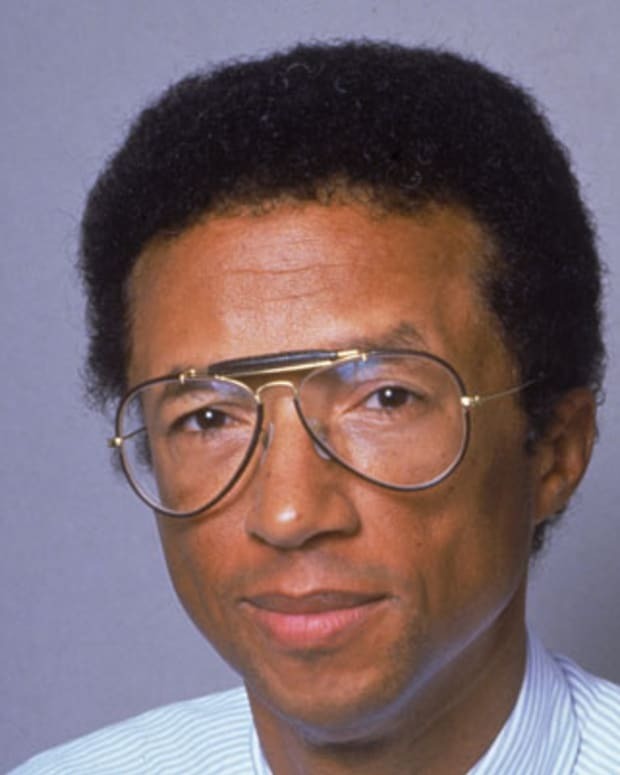 The following January, he defeated Nadal to claim a record seventh Australian Open singles title and his 15th overall major championship, breaking a tie with Pete Sampras for third most all time. Djokovic speaks Serbian, Italian, German and English. His two younger brothers, Marko (born in 1991) and Djordje (born in 1995), both followed his path by pursuing professional tennis careers. Djokovic&apos;s lighthearted personality has earned him the nickname "Djoker," a combination of his surname and the word "joker." He is known for his humorous off-court impersonations of fellow players. Djokovic is a member of the Serbian Orthodox Christian church, and in April 2011, he was awarded the Order of St. Sava, 1st class, the highest decoration given, "for his demonstrated love for the church and the Serbian people." He participates in the Champions for Peace club, created by Peace and Sport, a Monaco-based international organization. He created the Novak Djokovic Foundation to help disadvantaged children in Serbia obtain an education and provide resources to lead productive and healthy lives. Djokovic began dating Jelena Ristic in 2005. 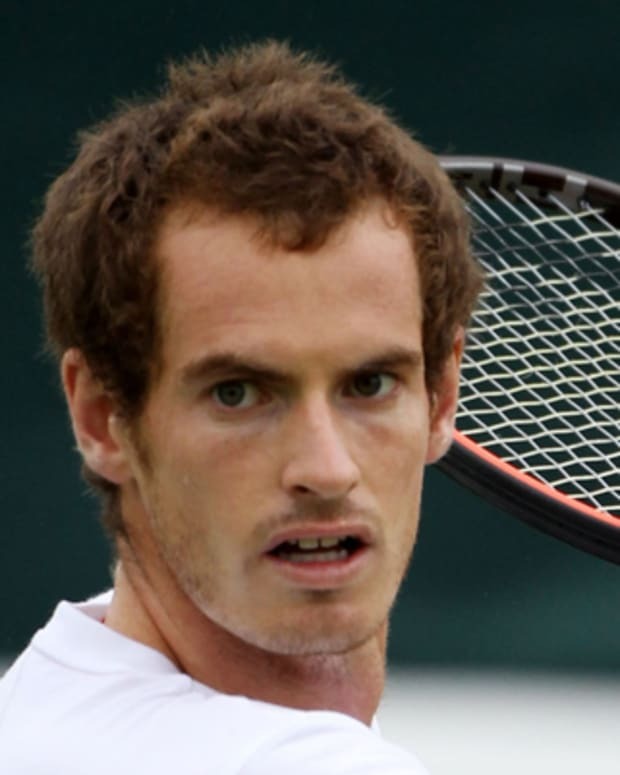 The couple became engaged in 2013 and wed on July 10, 2014 – just days after his Wimbledon win. The couple welcomed their first child, a son named Stefan, on October 21, 2014. 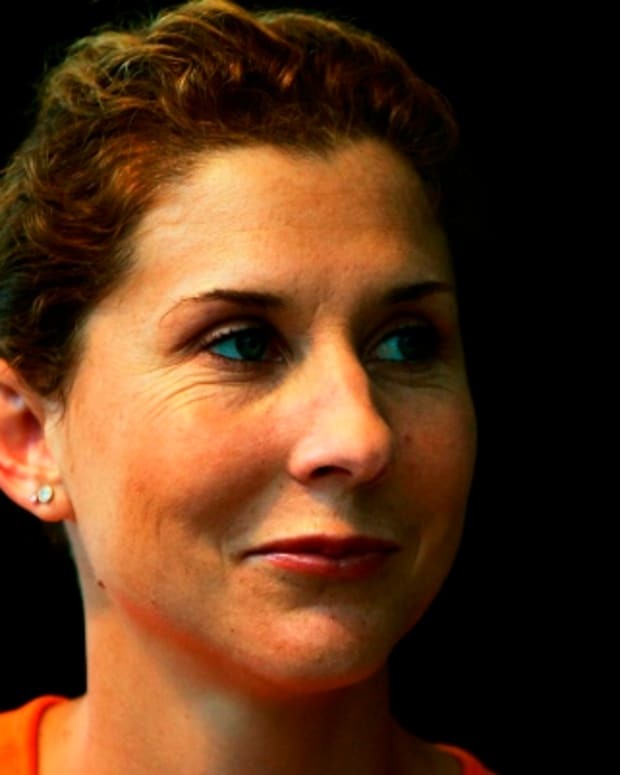 Monica Seles is a former No. 1-ranked women's tennis player with nine Grand Slam titles. She is also an author and speaker, and competed on Dancing with the Stars in 2008. 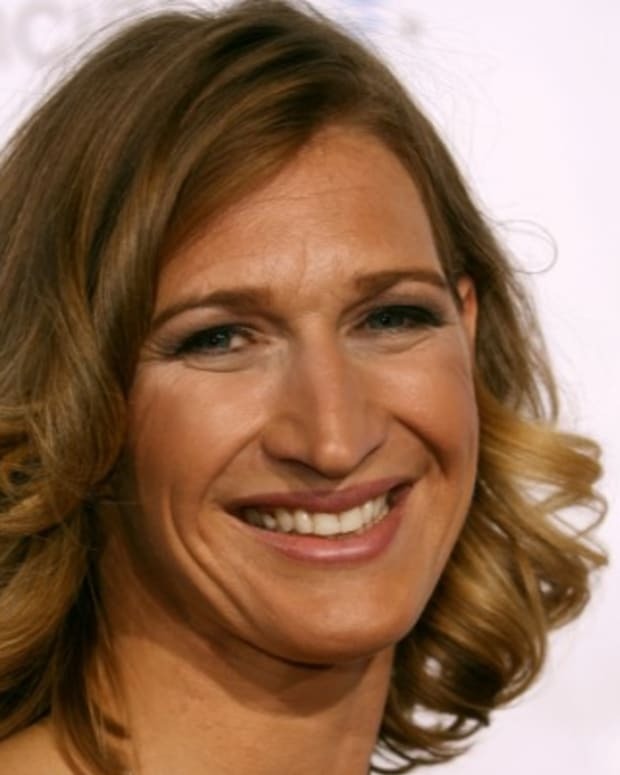 In her professional tennis career, Steffi Graf spent 377 weeks as the No. 1 female player and won 22 Grand Slam singles titles. She retired from tennis in 1999. 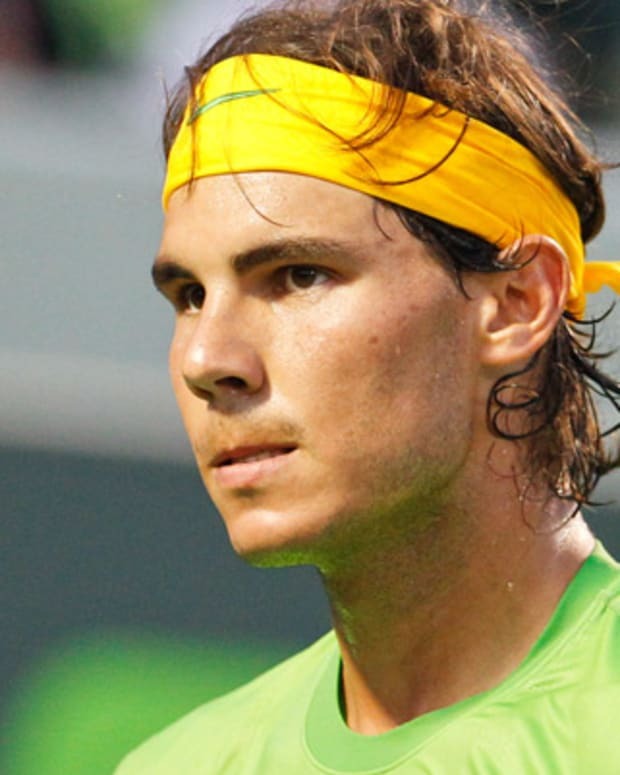 Spanish tennis great Rafael Nadal has won 17 Grand Slam titles, including a record 11 French Open singles titles, and is one of only two men to win all four majors and Olympic gold. Scottish tennis star Andy Murray triumphed at Wimbledon in 2013 to become the first British male in 77 years to win the tournament. 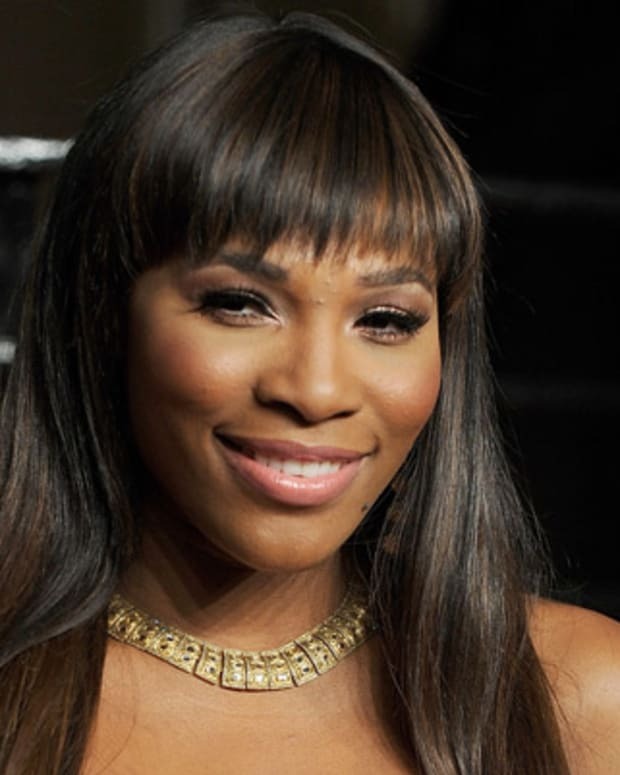 American professional tennis player Serena Williams has won 23 Grand Slam singles titles and several Olympic gold medals. 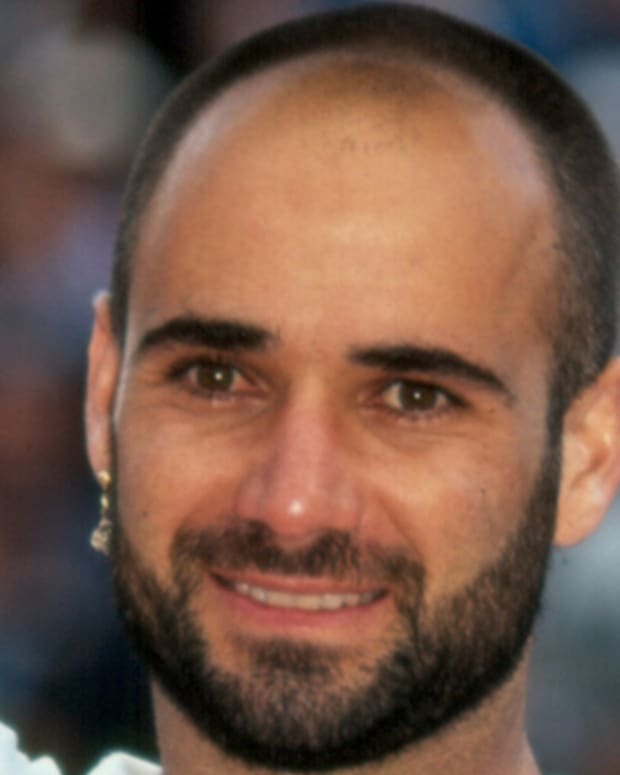 Andre Agassi is best known for his strong, smart playing style, which helped him win tennis championships throughout the 1990s. Tennis champion Maria Sharapova became the first Russian woman to win Wimbledon and is an Olympic champion.